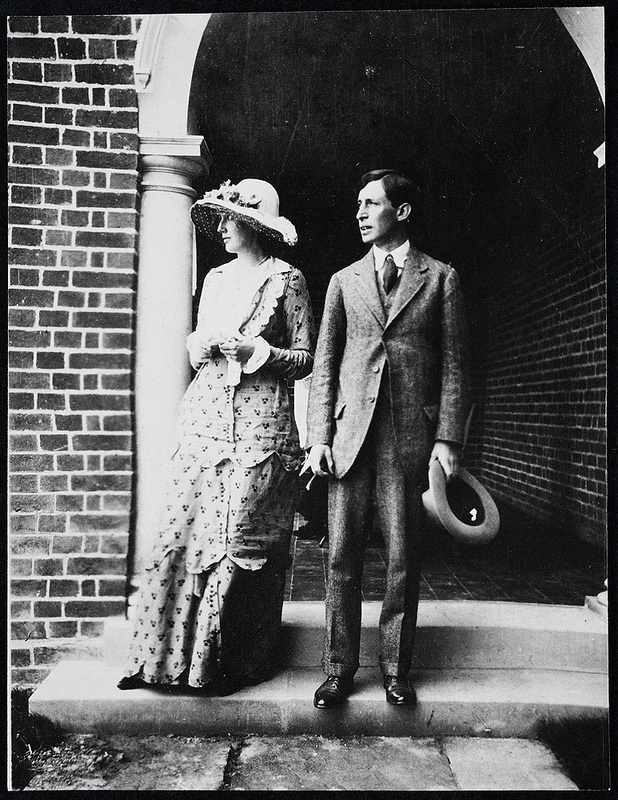 Virginia Stephen and Leonard Woolf first met at Trinity College in Cambridge when Virginia was there visiting her brother Thoby. Years later, Lytton Strachey, a mutual friend, commended Virginia to Leonard, writing in 1909 about her eligibility: “she’s the only woman in the world with sufficient brains, it’s a miracle that she should exist; but if you’re not careful you’ll lose the opportunity…She’s young, wild, inquisitive, discontended [sic], and longing to be in love.” Leonard made an offer. Believing it was a joke, Virginia did not respond. On December 1911, Leonard returned to England where he immediately moved into the Brunswick Square house Virginia and her brother shared. The two dated, and Leonard proposed several times. Virginia continued to refuse his offers; in the letter below, she details her reasons for why they should not marry. Regardless, the couple agreed to an engagement on May 29, 1912 and married on August 10. She was thirty, he was thirty-one. A year later Virginia attempted suicide by taking a large dose of the sedative verona. Due to her mental illness, doctors discouraged the two from having children. To deal with the facts (my fingers are so cold I can hardly write) I shall be back about 7 tomorrow, so there will be time to discuss—but what does it mean? you can’t take the leave, I suppose if you are going to resign certainly at the end of it. Anyhow, it shows what a career you’re ruining! Well then, as to all the rest. It seems to me that I am giving you a great deal of pain—some in the most casual way—and therefore I ought to be as plain with you as I can, because half the time I suspect, you’re in a fog which I don’t see at all. Of course I can’t explain what I feel—these are some of the things that strike me. The obvious advantages of marriage stand in my way. I say to myself. Anyhow, you’ll be quite happy with him; and he will give you companionship, children, and a busy life—then I say By God, I will not look upon marriage as a profession. The only people who know of it, all think it suitable; and that makes me scrutinise my own motives all the more. Then, of course, I feel angry sometimes at the strength of your desire. Possibly, your being a Jew comes in also at this point. You seem so foreign. And then I am fearfully unstable. I pass from hot to cold in an instant, without any reason; except that I believe sheer physical effort and exhaustion influence me. All I can say is that in spite of these feelings which go on chasing each other all day long when I am with you, there is some feeling which is permanent , and growing. You want to know of course whether it will ever make me marry you. How can I say? I think it will, because there seems no reason why it shouldn’t—But I don’t know what the future will bring. I’m half afraid of myself. I sometimes feel that no one ever has or ever can share something—It’s the thing that makes you call me like a hill, or a rock. Again, I want everything—love, children, adventure, intimacy, work. (Can you make any sense out of this ramble? I am putting down one thing after another.) So I go from being half in love with you, and wanting you to be with me always, and known everything about me, to the extreme of wildness and aloofness. I sometimes think that if I married you, I could have everything—and then—it is the sexual side of it that comes between us? As I told you brutally the other day, I feel no physical attraction in you. There are moments—when you kissed me the other day was one—when I feel no more than a rock. And yet your caring for me as you do almost overwhelms me. It is so real, and so strange. Why should you? What am I really except a pleasant attractive creature? But its [sic] just because you care so much that I feel I’ve got to care before I marry you. I feel I must give you everything and that if I can’t, well, marriage would only be second-best for you as well as for me. If you can still go on, as before, letting me find my own way, that is what would please me best; and then we must both take the risks. But you have made me very happy too. We both of us want a marriage that is a tremendous living thing, always alive, always hot, not dead and easy in parts as most marriages are. We ask a great deal of life, don’t we? Perhaps we shall get it; then, how splendid! From Hell Hath No Fury: Women’s Letters From the End of the Affair. Edited by Anna Holmes. Carroll & Graf Publishers: New York (2002) pp. 198-201. Leonard and Virginia Woolf stand apart in a wedding day photo. Harvard digitized Woolf’s Monk House photo album. See photos from 1866-1914. 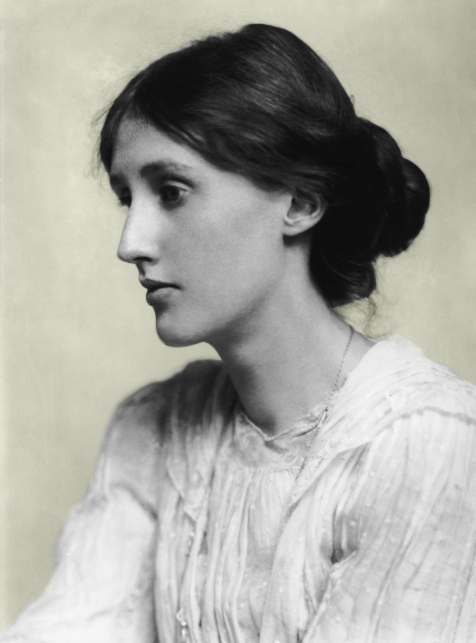 Virginia Woolf only has one known voice recording that survived.